After hundreds of tournaments during the last year, after harsh competition all over North America, Europe and Asia and after some of the oldest teams disappeared into oblivion, while new ones showed up out of nowhere and stormed passed their opponents, it's time for the grand final. The tournament that every team and every fan of the competitive scene wanted to attend, the Season 2 World Championship. The people at the very base of League of Legends probably never imagined that they would be holding their own event in a 10 000-seats hall, but that’s their reality now and they’ll give their best to make it one hell of a show for the viewers, regardless of them watching it live on the spot or via stream. Before the competition actually starts next week, let’s have a look at the 12 teams who fought hard on their way to the top for the chance to leave Los Angeles with $ 1 000 000 and the title of “Season 2 World Champions”. There is hardly any doubt that TSM has been the best North American team for months now. Even though they are known for their “baylife” philosophy, ever since Dyrus replaced Christian 'TheRainMan' Kahmann after the IEM World Championship in March, they have taken the game more seriously than ever and have lost only one LAN event since April this year. With this said though, they haven’t faced any European teams in tournaments since early June (except Bacon Lovers Are Crazy Kool at MLG Arena but as they were using two subs, they hardly showed their best performance and can be disregarded) and have played only against two Asian teams, so it is hard to predict how they will fare against such opponents. Regardless of that they are probably the NA team with the biggest chance to win or at least place in the top 4 of the tournament. As one of the top seeds moving directly into the quarterfinals of the Championship, TSM only need to win two matches in order to qualify for the grand final, but you can be more than sure that they will face formidable teams both in the quarterfinal and the possible semi-final. As their arch enemies from Moscow Five won’t play in the group stage either, they can meet eachother in the semi-final. This match-up would certainly be a feast for any League of Legends fan. 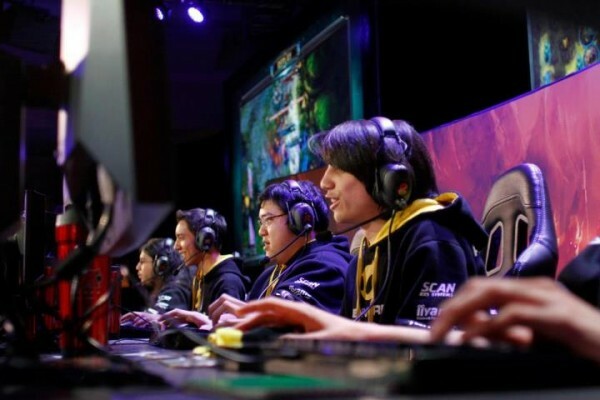 Since their disappointing performance in Azubu the Champions Summer 2012 and the replacement of their support player Patrick 'L0cust' Miller with Patoy, Team Dignitas definitely showed that they are still top 3 in NA with their silver medals in their last two LAN events. 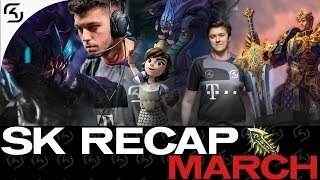 Anyone who watched their semi-final against Counter Logic Gaming in the NA Regionals, won't ever forget the second game which lasted 76 minutes and ended in the favour of Scarra & co thanks to the strength of their poke comp against the team that had used it so often in the past. Dignitas ended up in group B, considered the easier one of the two groups, but they still have to beat some really strong teams if they want to move to the quarterfinals. 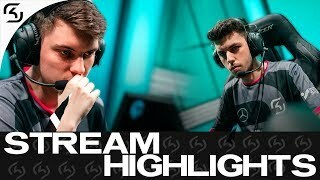 Relying on their team synergy and on the impressive skills of both carries and top laner Crumbzz, they will have to showcase some amazing play to prove their critics wrong. Both the CLG players and their fans probably have a pretty rough time seeing their rivals from TSM dominating the NA scene for months now, but that’s definitely not because HotshotGG and company have slipped off during that time. The team took part in both seasons of Azubu the Champions and even though they lost twice in the quarterfinals, the experience and the knowledge they gathered from and about most Asian teams is priceless. Upon their return to the USA they almost tripped on their way to Season 2 Finals but managed to get the last NA spot with some solid play against Team Curse . After that they also showed some solid games against Team Legion and Dynamic in the MLG Prizefights. The bad news for CLG is that they are in the “Group of Death” aka Group A. Even with all their "cheese" strategies, it will be incredibly hard for them to get to the quarterfinals. Their edge is definitely that they encounter two Asian teams in their group. If CLG doesn’t know how to play against them and how to counter their tactics, probably no one else does. Since Moscow 5 entered the competitive League of Legends scene shortly before IEM Kiev, they have won every offline event except for one. Pretty similar to TSM’s dominance in the NA scene, M5 ruled over Europe’s tournaments (check this stunning infographic for proof) slipping only once – at Dreamhack Summer 2012 where they lost the final match against Counter Logic Gaming EU. They are definitely a team with a thirst for success and after obtaining the title of IEM World Champions in March, they will give their best to become the world champions of the whole Season 2 as well. Coming into the World Championship Moscow 5 are widely regarded as the biggest favourites to take the title, especially after their AD Carry Genja successfully obtained his visa after the second try (he was denied the first time). With M5 being one of the teams placed directly in the quarterfinals, their path to the Final could be rather short but also steep as they will meet some very tough opponents there. We have to keep in mind that they haven’t played against NA teams since March and have only ever faced one Asian team, namely EHOME , as well. That definitely leaves the door open for some thrilling outcomes if/when they play against non-European teams. 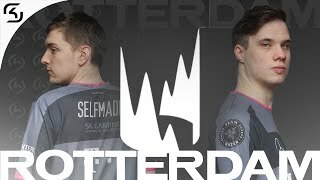 One of the slightly unexpected participants at the World Championship, SK put a bomb under the European Regionals by convincingly winning the semi-final against CLG.eu, even though the players were together for no more than a month and no one was expecting them to play so consistent in such a short time. A week-long bootcamp before the Regionals helped them immensely and at the moment they are doing the same in order to recreate that magic. SK is facing one NA team and two Asian squads in the Group of Death, and while that means SK has next to no practice and experience against them, the same can be said about their opponents. Who will surprise the other more? Will the Spanish passion of Ocelote and Araneae be able to push the team to the top, so we can see another emotional 5-man hug? It’s a tough call but SK are used to being the underdogs and they even prefer that position because when your opponent underestimates you, you can exploit that in your favour. 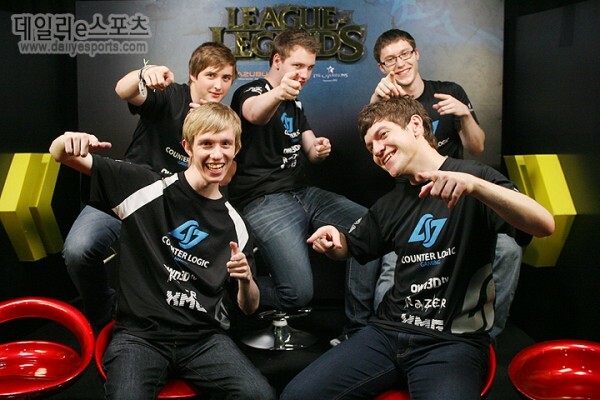 CLG.eu is definitely a team that deserves their place as one of the European representatives at the World Championship. They were online beasts for months before they had the chance to prove that they are just as good at LAN events, taking a top 3 spot in the last 3 European offline tournaments. If that’s not enough, in the meantime they also competed in Azubu the Champions Summer 2012 becoming the only Western team getting past the quarterfinals. 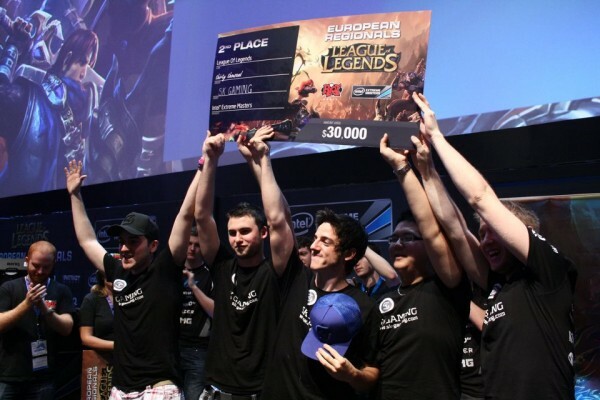 And they didn’t stop there – they got all the way to the final where they lost to Azubu Frost. After that loss they arrived at CLG’s gaming house in LA to prepare for the Season 2 Finals. With that move they became the only squad from the 12 that played against teams from all three main regions in the last two months. Despite that the fans of the competitive scene are rather divided in their predictions about CLG.eu’s placement in the tournament. Some think they will fight for a top 4 spot, others claim they will be one of the disappointments. The latter seem rather unlikely though – not only are they in the easier of the two groups, we’ve also recently seen tremendous improvement from their AD Carry Yellowpete, which means it’s not only up to Froggen anymore to be the star of the team. 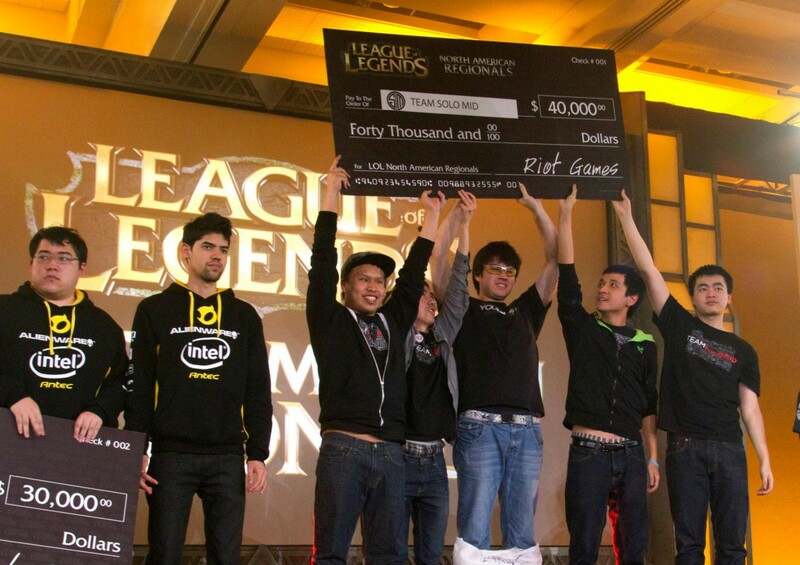 World Elite is the first Asian team that got the attention of the Western Summoners. 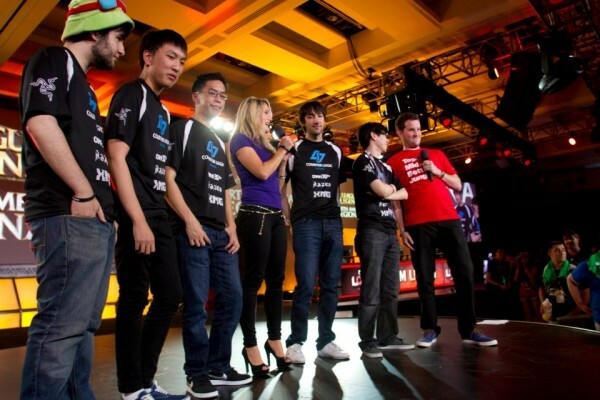 About a year ago they surprisingly took out CLG in the final of IEM Guangzhou. Their AP Carry Misaya turned into a star overnight and most fans of the competitive League of Legends scene wanted to see the team compete with the NA and EU top teams. Unfortunately, they had visa issues and couldn’t attend the IEM World Championship. In the mean time though they won a couple of Chinese tournaments and got first place in the Chinese circuit ladder, granting them a spot at the Season 2 Finals without attending any qualifiers. 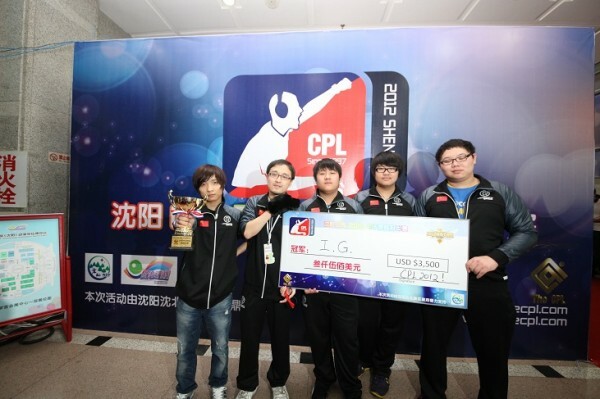 The team made its first appearance out of China participating in Azubu the Champions Summer 2012, where they lost the quarterfinal to CLG.eu. Shortly after that they participated in IPL Face Off but despite all the hype, they couldn’t overcome the top NA teams like TSM and Curse. After these rather disappointing results away from China, the team changed two of their players looking for better results. Luckily for them both their AP and AD Carry stars remained in the roster, which looked like the right decision in their recent showmatch against CLG.eu in which WeiXiao farmed up a stunning 641 CS. World Elite is also one of the four teams that placed directly for the quarterfinals, so they definitely have it easy till now. The quarterfinal itself though is going to be a big test for them on their road towards being recognized as one of the best not only in China, but in the rest of the world. We first saw Invictus Gaming on the competitive front at IEM Guangzhou, where their performance was less than stellar and they didn’t get out of the group stage. 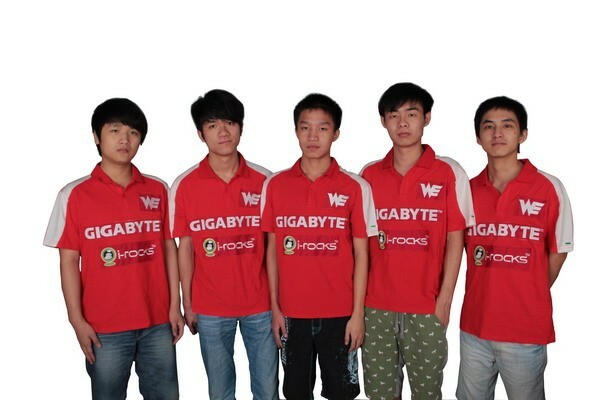 After that they represented China at WCG 2011, where they lost the quarterfinals to the Canadian team made out of CLG and TSM’s players. Later on they qualified for IEM Kiev but the visa issues once again prevented the Western audience from seeing a Chinese representant. Visa issues also prevented them from attending the IEM World Championship two months later. Since these early days of the team iG changed a couple of members building up a far stronger line-up which is going head to head for the title of the best Chinese team all the time with World Elite. Except for securing themselves the second Chinese spot for the Season 2 Finals, they have been winning games against CLG, Azubu Taipei Assassins and Azubu Frost in NiceGameTV’s Battle Royal. They also participated in IPL 5’s NA qualifier #3 where despite the ping issues they 2-0ed some of the best NA teams before losing to Meat Playground in the final match. They are currently in the 4th qualifier for the event as well. In a lot of their matches in both tournaments their AP Carry makes miracles happen by using uncommon champions like Master Yi, Viktor, Maokai and Evelynn (not so uncommon anymore), so let’s hope to see some of those strats in LA as well. After the Dota 2 team of the organization won The International 2 (the biggest tournament for Dota 2) there’s probably some pressure on the LoL squad not to fall behind. iG is in the Group of Death, but the common prediction is that they won't have too much trouble getting out of it, as it is partly named after them. Some time ago a lot of players and summoners called Taipei Assassins the best team in the world even though they had never competed with teams outside of the Asian region. Their amazing team coordination and the individual skill of the players made it so that everyone wanted to play against them but few have actually had the chance. The biggest achievements of the team are winning the first season of Go4LoL Pro Asia, the Taiwanese qualifiers for IPL 5 and the Season 2 Regionals for Taiwan, Hong Kong, and Macau. They are also participating in the Garena Premier League where they are clearly the best team, having lost only 2 out of 30 games so far. TPA are the fourth team that got drawn to skip the group stage and if they get an Asian opponent in the quarterfinal, they probably have a better chance to advance to the semi-finals as they know these teams much better than the NA and EU ones (except from both CLG teams as they have played against them while the latter were staying in Korea). With this being their first offline event out of Asia though they will either disappoint or prove that they are indeed one of the best teams worldwide. Saigon Jokers has been described as the 'wildcard' of the tournament. They were the first ever Vietnamese League of Legends team and were formed in order to participate in the Garena Premier League, where they maintain 3rd place, having won 16 out of their 30 games so far. The team participated in the South East Asian Regionals and got knocked out to the losers bracket by Singapore Sentinels in the second round. Despite that SAJ didn’t give up and fought hard to get to the final where they surprised everyone, probably even themselves, by taking revenge on the Sentinels with a 2-1 score. The Vietnamese players are in the easier group B, but no one really knows what to expect from them. 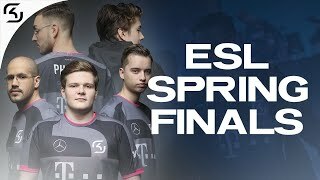 Without taking anything away from them – reaching the Season 2 World Championship is no small accomplishment, the other teams are better - on paper. Saigon Jokers is certainly gearing up to show their best play, learn all they can from their opponents and be even stronger once Season 3 starts. 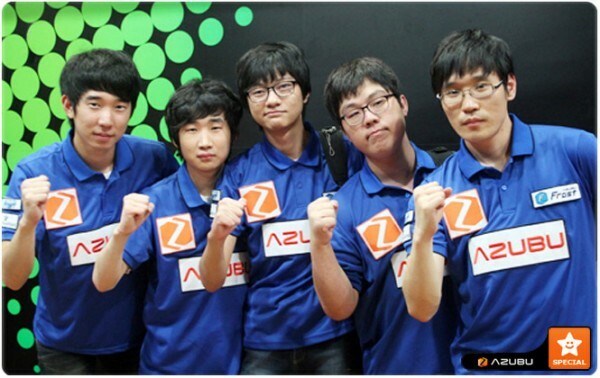 Azubu Frost, formerly known as MiG Frost, is without a doubt one of the strongest Korean teams. Before the final of the first season of Azubu the Champions they were widely considered as the number one Korean squad, but losing the final to “brother” team Azubu Blaze kind of dented their reputation . They were extremely disappointed and in the aftermath of the finals AD Carry Choi 'Locodoco' Yoon-sub left the team. Frost got back in the race training harder than ever and showed amazing play in the second season of the tournament. They won against CLG in the quarterfinals, took out Blaze in the semi-final after an amazing 5-game set and came back from a 0-2 deficit in the final against CLG.eu. With that win Frost secured the first place in the Korean circuit ladder and thus automatically qualified for the Season 2 Finals without attending additional qualifiers. 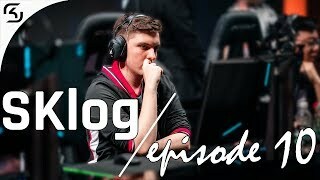 They were supposed to be placed directly in the quarterfinals as well, but with Riot changing their initial plans Frost was placed in the group stage after a drawing. They are still considered one of the teams with a strong claim on the title of World Champions and it won’t be long till we see if they can live up to the expectations. NaJin Sword was the second League of Legends team formed under the NaJin organization and even though they functioned as a 'B-team' at first, they proved to be nothing less than a number one team. 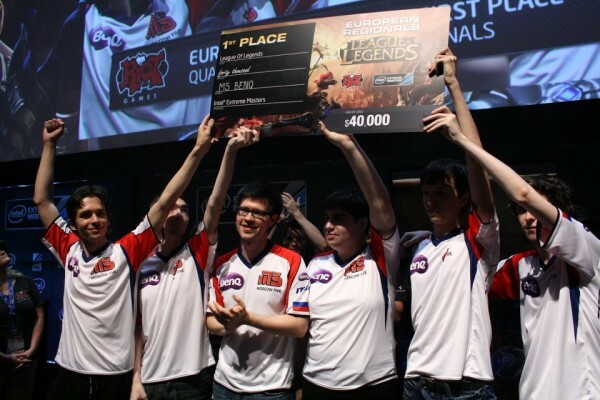 Led by the former captain of the original NaJin team and a fan favourite of a lot of Western Summoners, MaKNooN, the team’s participation in the Azubu the Champions Summer 2012 included a win against the now disbanded StarTale in the quarterfinals before they got knocked out by CLG.eu in the semi-final. In the match for third place Sword surprisingly won against Azubu Blaze and thanks to that gained enough points to play in the Korean Regionals. There they won all of their matches, including the final where they were once again beat Blaze and became the last team to qualify for the Season 2 finals. Sword got placed in Group B and are generally expected to move forward to the quarterfinals, at least. MaKNooN has been leading his team to victory till now and will for sure do it once more. If they have fixed their mid game troubles, shown in some of the games against Blaze were Sword lost their early game advantage by engaging into unfavourable fights, they can easily get into the top 4 in LA. The Season 2 World Championship will be casted by fan favourite Leigh “Deman” Smith and Riot employees David “Phreak” Turley, Rivington “RivingtonThe3rd” Bisland and Josh “Jatt” Leesman. The tournamenent will be broadcasted on both streaming platforms - own3d.tv and twitch.tv. You can check the full schedule in PDT here. In CEST the games start at 6 PM on 4th October and at 9 PM on 5th and 6th October, with the Grand Final starting at 4 AM on 14th October. For any additional information feel free to visit the official site of the Championship. With the quarterfinal pairs being decided by a draw after the group stage matches are over it’s not easy to make an accurate prediction of the possible top 4 or even top 2 teams. Regardless of that if I had to bet money on it, I would say that the final will be between Moscow 5 and an Asian team – one of the two Korean squads (with Frost having higher chances) or iG. These 4 teams are likely to be the semifinalists, but maybe TSM and CLG.eu will have something to say about that as well – it all depends who they face in the quarterfinals. Powered by digibet.com - home of e-sports betting. Conclusion of S2 World Championship Playoffs announced!